A training video demonstrating the proper unpacking and assembly of the Farmtek Flyball Electronic Judging System (EJS) is now available on the NAFA website. 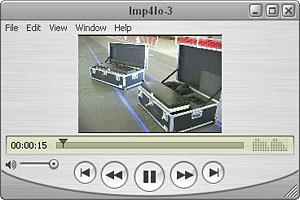 The video is currently available in MPEG-4 and AVI formats (will open with QuickTime or Windows Media Viewer), and the conversion to other formats is currently underway. Be patient - they will take a few minutes to download.